Rhosson Ganol caravan and camping site is run by Henry, David and Kate Griffiths, David's Grandparents first opened the field for camping in 1951. 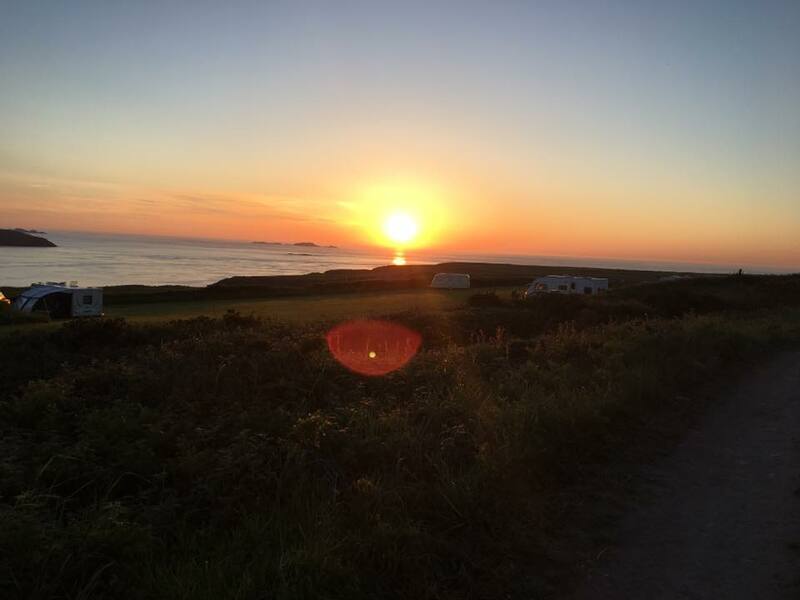 We have 35 grass pitches for touring caravans, camper vans and tents. We have eight electric hookups which require early booking to avoid disappointment. We have free wifi, and a chemical disposal point on site. We are open from Easter to October half term. Our toilet and shower block has ladies and men's toilets and free hot showers. We also offer a free ice pack freezing service.